Hogg Head’s Blue Smoke Barbecue features a core menu of offerings for our roadies as well as a variety of special items each time we are out. 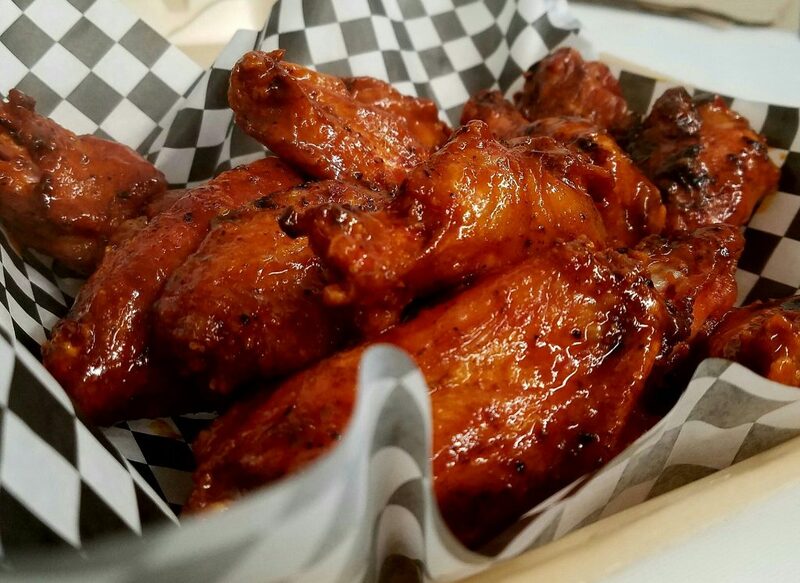 Rotating menu items include our smoked wings, ribs, brisket and seasonal specials like our brisket chili and smoked chicken gumbo. You may even be surprised with a guest appearance of a specialty sandwich now and then. No matter what you find on our menu on a given day, we assure you “it’s all good”! 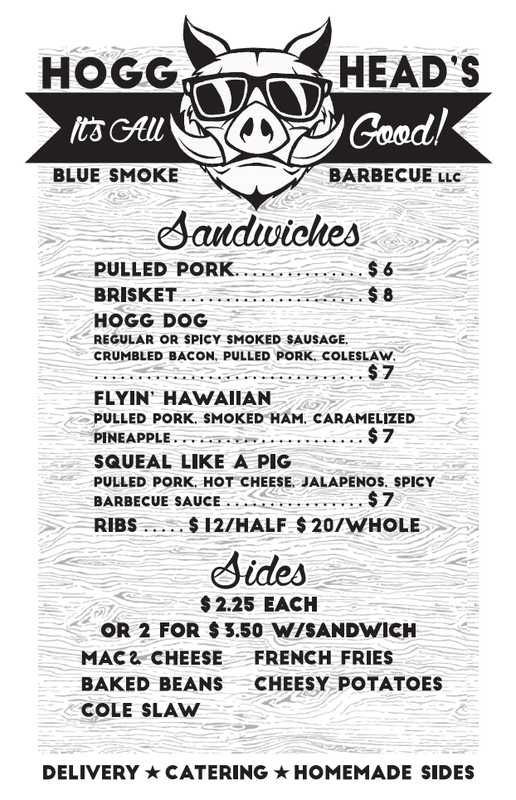 Our food truck events are updated regularly via our Facebook page, @hoggheadsbluesmokebarbecue. If you’d like to place a special order such as ribs or meat by the pound, please contact us a couple days in advance and we’ll do our best to smoke a custom order. Below is a typical food truck menu. We always suggest showing up early if your heart is set on a particular item. Due to the nature of our business and the time invested in our food, when we’re out, we’re out!